The election might (finally) be over tomorrow, but the Association of Young Americans is just getting started. Whereas most young people have struggled in the past to get out and vote, AYA says all you have to do is get to the polls on Voters’ Day, and they’ll take it from there. Historically, Americans have come out of hiding to cast their ballots, only return to their hibernation for two years of Netflix binging and relentless tweeting, but young Americans, specifically, have been infantilized as millennials over the years to feel as though their vote doesn’t even count, that their issues will never be addressed. But Ben Brown, 29, founded AYA to change all that by giving a nonpartisan voice to America’s youth. But it’s not just Election Day that counts. In fact, it’s only the beginning. Last midterm election in 2014, a mere 23 percent of young people voted. According to AYA, this election is expecting close to 55 percent. Is that because young folks are that unhappy with the results of the last one? Did they not know how or where to vote? Did they have a few too many drinks the evening prior and forget it was Voters’ Day, only to stay in bed cuddling a bottle of warm Gatorade? All have probable odds, but more than likely, it’s because there has never been a nonpartisan voice for America’s youth. “Midterm elections are actually a good time for people to realize that ideas and issues are arguably more important than political parties. We’ll never tell you who to vote for,” Brown said. More than half of Millennials say they’re very likely to vote in November’s midterm elections! That’s 140% more than voted in the last midterms. In fact, in the survey AYA just did, half of the millennials say they’re independents. Sure, they have leanings around certain issues, but maybe young people aren’t as apathetic as they’re stereotyped to be. Maybe they understand the system is broken and don’t want to feed into it. “There are tons of pressure for people to go to rallies and sign petitions and call legislators, but not everyone can do that all the time. That’s why AYA exists. When you are juggling two jobs and pay down student loans and finding a new apartment, AYA is there to work on your behalf,” Brown said. While most political groups go on sabbatical the moment the votes are tallied, AYA is quite the opposite. They don’t punch their ticket at the end of the campaigning trail, rather that’s when they clock in and barge into the lives of every elected official. Their mission is simply to hold politicians accountable for their promises on the campaign trail once they’re elected into office. It doesn’t matter if the newly elected is red or blue, black or white, man or woman: AYA is going to be on them like gluten on a delicious bagel. For young people, that means no more hollow talk about $1.5 trillion student debt, climate change, criminal justice and sexual assault prevention. It means politicians finally have to stand for what they stood for in order to get our vote, and Brown’s organization is spearheading it. Perhaps now, young Americans are beginning to understand the weight of their vote (and why solicitors won’t quit calling). The Association of Young Americans, like us here at Mandatory, agrees that showing up is no longer an option. So we’ll see you tomorrow at the polls! 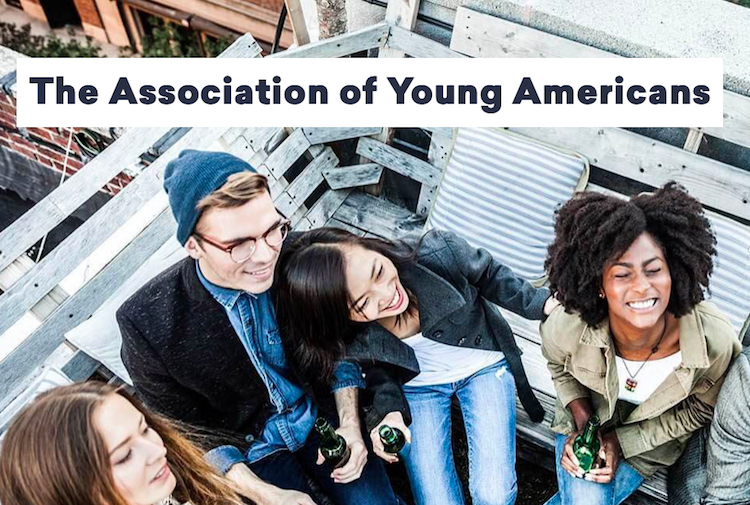 Join the Association of Young Americans. Follow AYA.